I am a huge fan of your notebooks – a quad rule notebook or two have been a constant companion for many years, collecting countless ideas and sketches along the way. 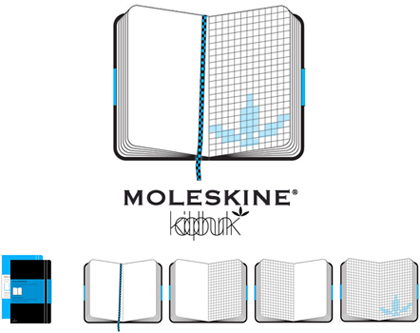 Please provide a notebook for those of us with fairly balanced right and left hemispheres — that is, I desire a Moleskine notebook that is a combination of your Plain and Squared styles. While the binding complexity may increase a tad, I believe the end product is well worth it and I will order a baker’s dozen the moment they are released.